Just a few years ago, 3-D television was the next big thing in home entertainment, and sports was the next big thing in 3-D. Now, 3-D is a minor feature in television sets, kind of like automatic dimming or a memory card slot. 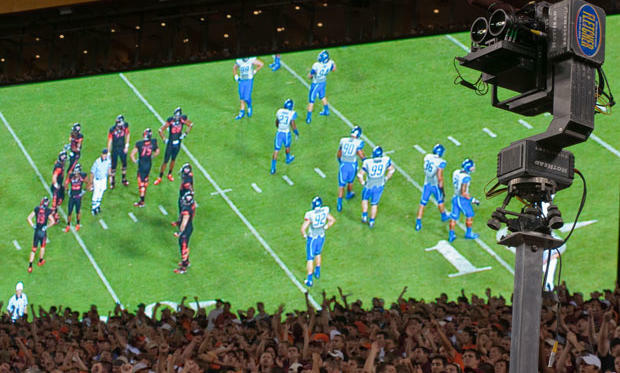 And 3D sports broadcasts, while catching on in some countries, aren’t common place in the United States. Today’s Super Bowl will not be televised in 3-D; the broadcaster, CBS, is not currently producing any original 3-D programming.